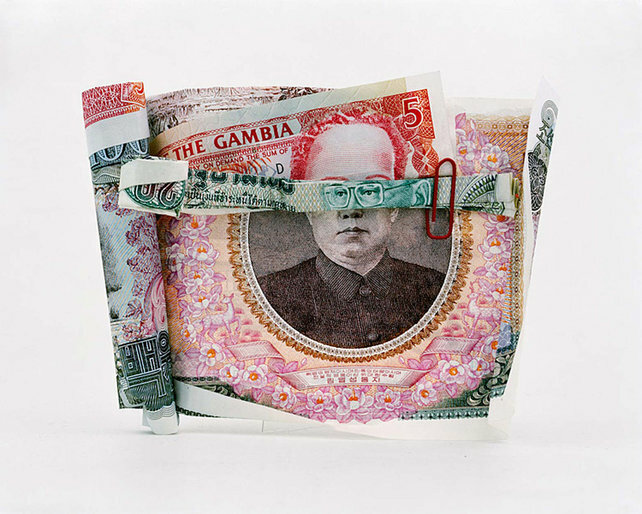 The Seven Mercenaries, by French artist Philippe Pétremant, is a series of portraits cobbled together from international banknotes. The 36-year-old Pétremant uses complicated origami folds and humble paper clips to keep the tiny sculptures in place, then photographs them for posterity. The large-format prints are on view this month at the Festival Circulation(s) in Paris. On the one hand, Seven Mercenaries is a meditation on the universal power of the global economy, which transcends figureheads and political symbolism. On the other, there’s a definite aesthetic grace to each image. Ornate security threads, gradient colors, and microtext holographs are expertly woven into riotous patterns--aside from the semiotics of art made from money, these are simply beautiful objects.